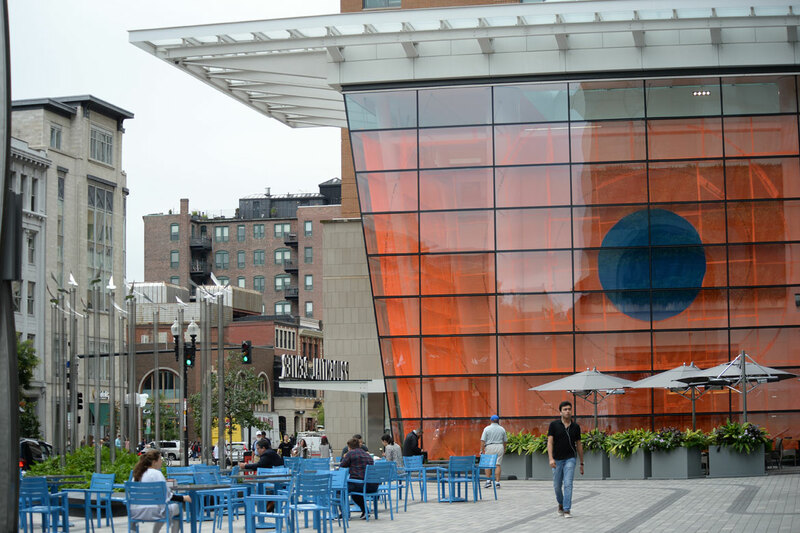 The title of Boston artist Stephanie Cardon’s public artwork “Unless”—installed in the main entrance of the Prudential Center shopping mall at 800 Boylston St. through November—comes from Dr. Seuss’s 1971 environmental fable “The Lorax.” And it signals the artist’s call to halt global warming. 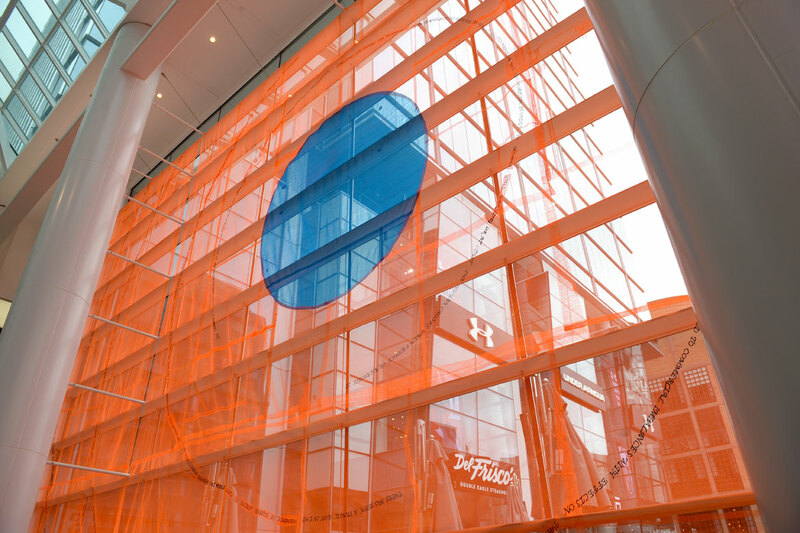 For “Unless,” Cardon—with help from the Boston independent public art curators Now + There, led by executive director Kate Gilbert—has hung 3,400-square-feet of repurposed construction site netting across the windows of the atrium entrance. 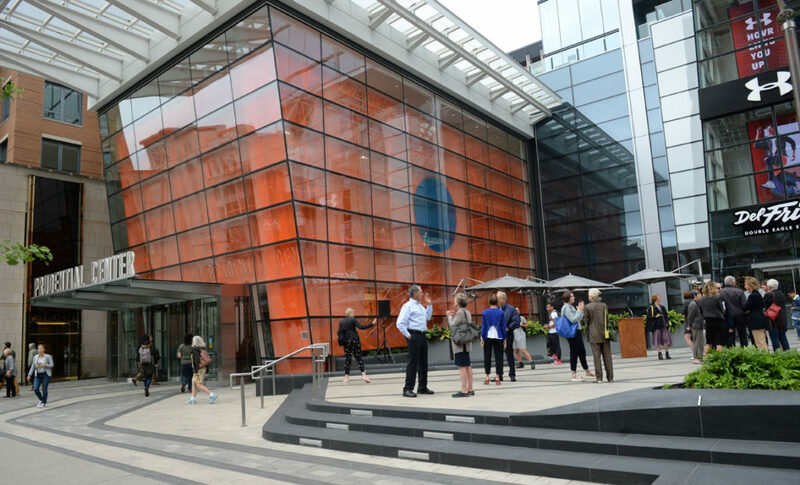 The artwork is mainly orange with a blue circle, like a target or sun, as a focal point. 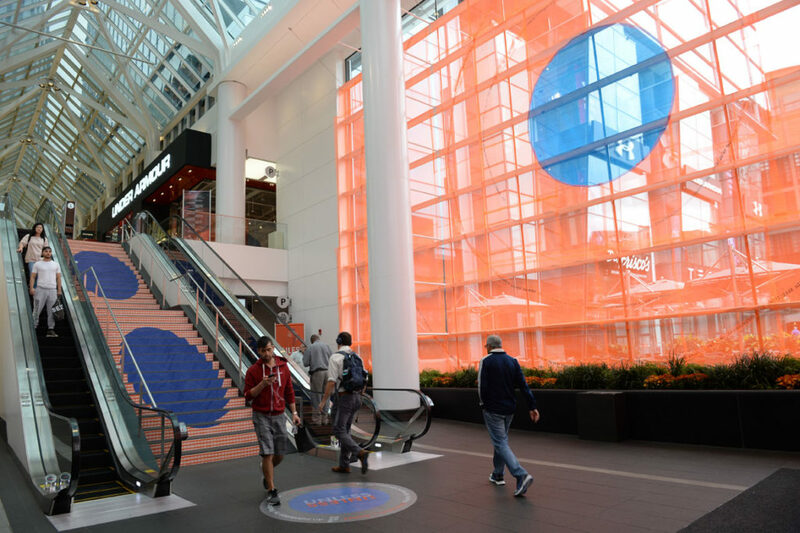 The blue circle is repeated on the floor and main staircase. 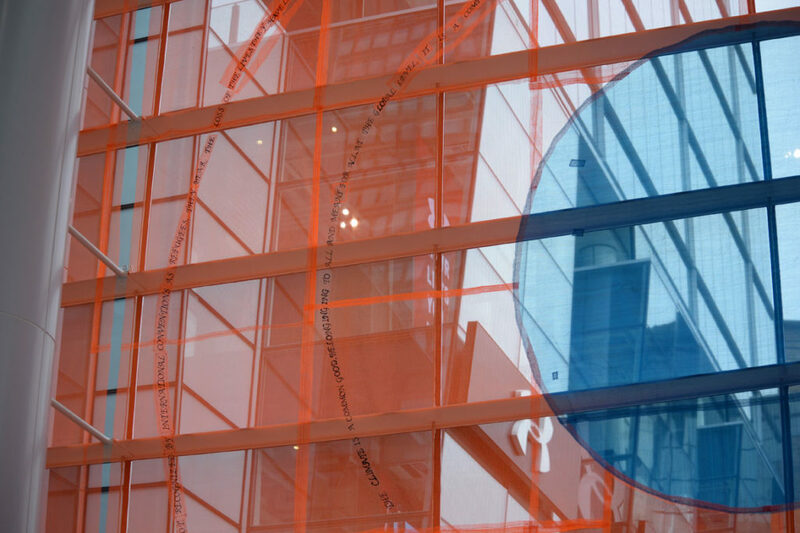 Cardon worked with some 30 people— members of the Inquilinos Boricuas en Acción community at the Villa Victoria Center for the Arts in Boston’s South End as well as students at Boston’s Massachusetts College of Art and Design from Puerto Rico, displaced by 2017’s devastating hurricanes—to embroider the text and prepare the netting. 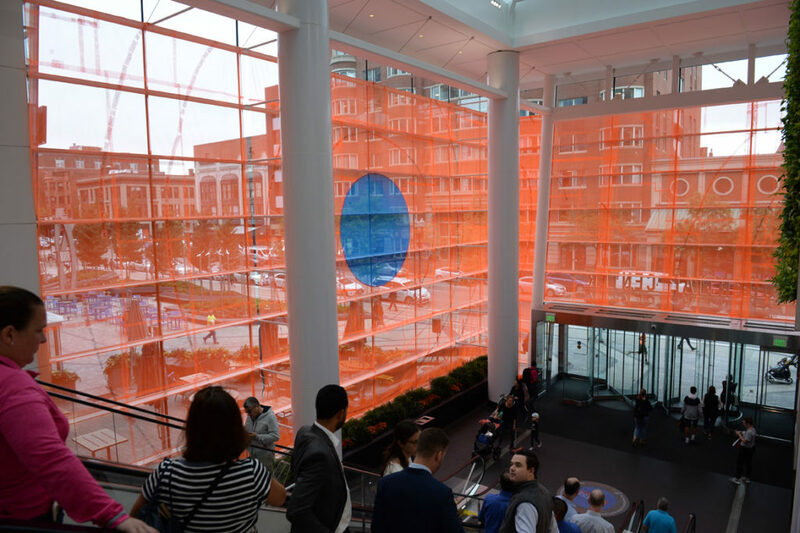 (“Thirty percent of the netting used is upcycled directly from Boston-area construction sites,” according to organizers.) The tapestry was installed overnight from Sept. 18 to 19.